YOGA-NEW!!! - AQUATIC SOLUTIONS, INC. American Red Cross classes for: Lifeguarding Instructor, Water Safety Instructor (WSI), CPR/AED Pro, Responding to Emergencies (RTE), Great Prices! Classes Available NOW. Affordable, FUN and Supportive!!! 50% discount for Masaryk Towers Residents for ALL classes. Must show proof of residency. This class is for all ages (16 and up) and levels. 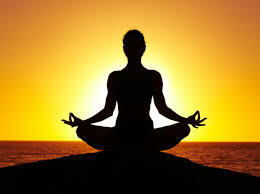 The class will go through basic yoga postures in addition to proper breathing and relaxation techniques. Over time students will come to realize increased relaxation, flexibility and strength in addition to confidence and a positive body image. This class is specifically designed for mature adults as well as students with restrictions due to health issues. The entire class can be done either seated or using a chair for balance. Participants will receive the same benefits gained from other Yoga practices including increased flexibility, relaxation and strength. Perhaps the most popular Yoga practiced in the West, these classes keep you moving! You’ll flow continuously through strong sequences of traditional Salutations and standing postures, linking breath with movement and work to build strength and endurance as you push the edge of your balance and flexibility. You will leave refreshed, relaxed and ready for a good night’s sleep. 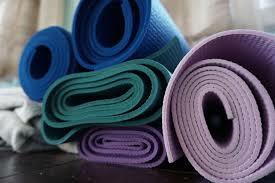 All "Yogi's" will be required to bring a mat (not necessary for Chair Classes) and towel. Aquatic Solutions has mats available for purchase. Please bring a Water Bottle as well. It may be filled at our in-house fountain. 20 classes- $385.00- This package will include a high-quality Yoga Mat free of charge.